It is amazing what makes some ancient cultures so popular. The Aztecs, for example, are most well-known for eating chocolate, killing people in sacrifice to their Gods and being defeated famously by the Spaniards. While they were known as barbaric they loved art, education and family mattered. Having said that though, they would sell their children into slavery without even a thought. A nation of problems it seems. These early traders used cocoa beans to buy and sell. Such an industrious nation all to be taken out by a European disease that killed 20 million of them. Aztec Temple has broken away from the standard reel spin and presents us with a unique tile formula on the screen. It is a refreshing change from the standard spin. 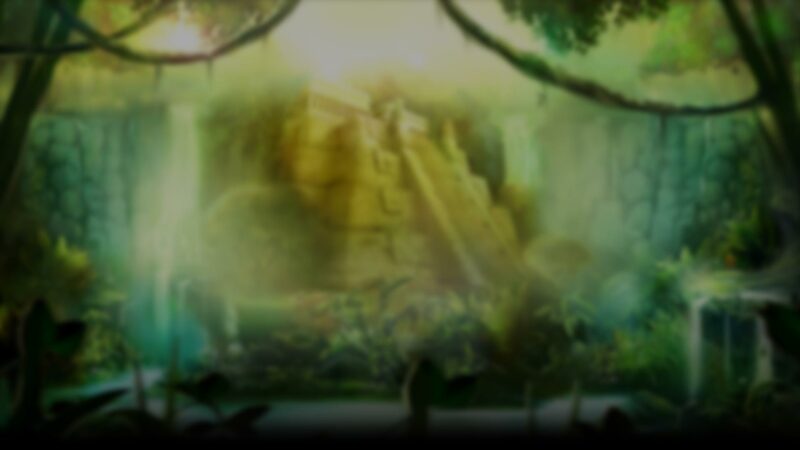 The Aztec theme game is set against the backdrop of the Amazon, home to the Aztecs. A host of rock carved tiles makes up the game all representing traditional faces. This game offers 2 features. A multiplier and free spin feature give this slot an edge on its competitors. Aztec Temple can be well navigated on all electronic devices. Aztec Temple plays on 5 reels and offers 20 paylines. The gameplay is simple but provides a regular reward as suggested by medium volatility on offer. There are 9 symbols on the reels that are all rock carving representing various Aztec Gods. The symbols have a range of values to make up the payout amounts. Other symbols on the reels are the real game changers are represented by the Wild, a Golden Mask. The Wild can replace all symbols except the Scatter. The Scatter is an Aztec Pyramid and triggers free spins. This game can be easily played on any of the electronic devices you would choose by using the neatly laid out controls. The panel is made up of all the controls you would need. You will be able to see where you are with your wins. You can access play and autoplay as well as the information section as well. 3 or more of the Scatter trigger the Bonus Game. There are two parts to the Bonus feature. The first is the Avalanche Multiplier feature and the free spin round. At the start of the Bonus game, the player gets 10 free spins. If the Scatter lands on a few lines, 10 free spins will be rewarded for each line. Should you land 3 or more Scatters will the Free Spin round is in action you will retrigger the Bonus game. Any winning combination can trigger Avalanche Multiplier. The values of the feature change with each turn. Aztec Temple offers excellent gameplay as well as visual excellence. The 2 features in the Bonus Game make for excellent wins, and this trip into the Amazon will prove to be very beneficial to you. Platipus Gaming has given a lot of thought to the whole game. Each aspect is fantastic. Aztec Temple will appeal to players across the board. Not only will you enjoy how the reels look and perform, but both beginners and seasoned players will also enjoy the wins that arise from multipliers and free spins and for that reason I give this game a high recommendation.